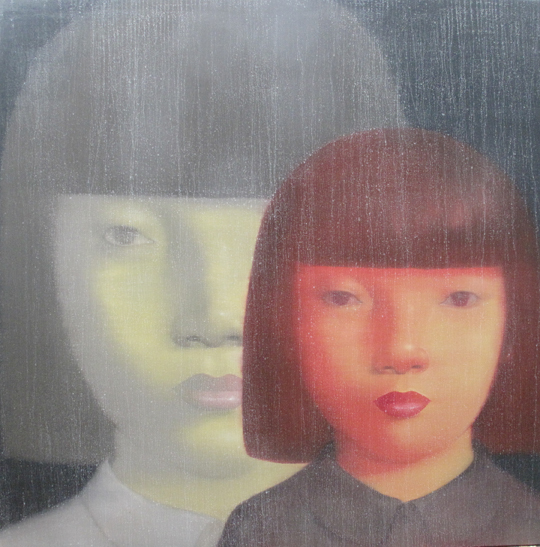 This Thai master of watercolour and oil paint is well known for his eerie paintings depicting portraits of Asian women. 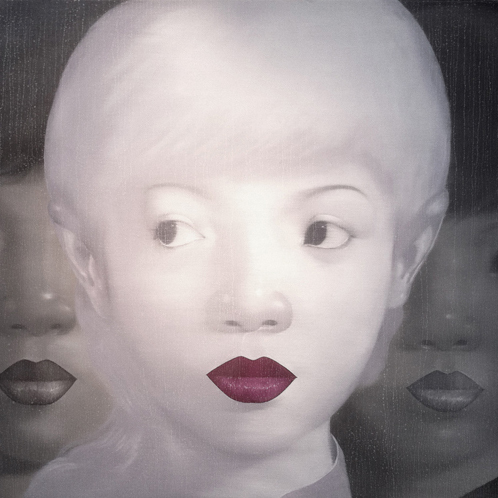 Pokpong often paints a stark contrast between the pale and sometimes strange colours of his subjects’ faces and the darker colours of his backgrounds, occasionally broken by vivid highlights for the lips and hair. 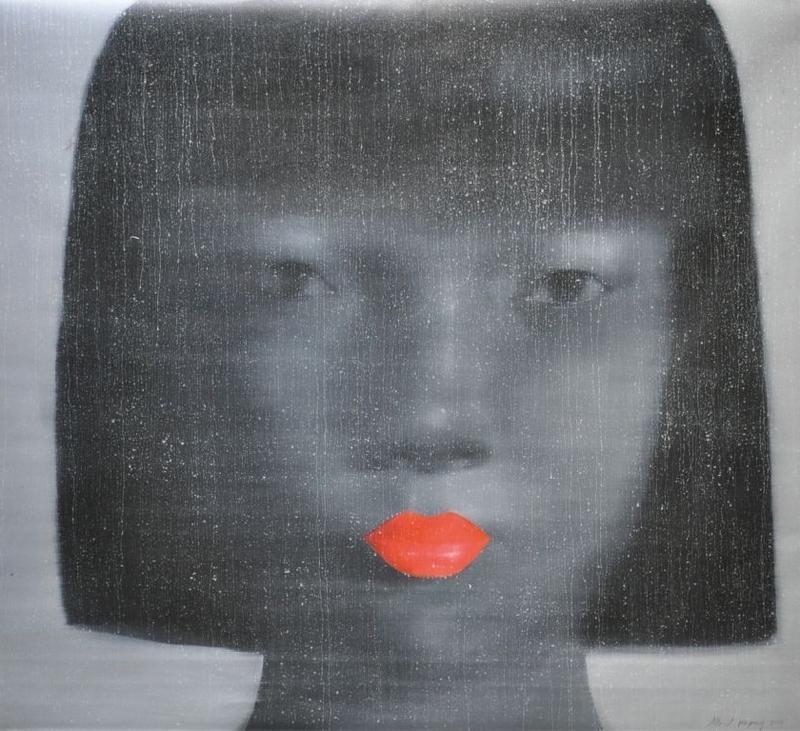 These portraits, painted with the sfumato technique seem to have a certain mystical veil that conceals the deep emotions within these faces. This mysteriousness, paired with a hint of sensuality, hypnotises the viewer and compels him to stare deep into the eyes of the subjects, in search of something that always seems to stay right outside of reach. 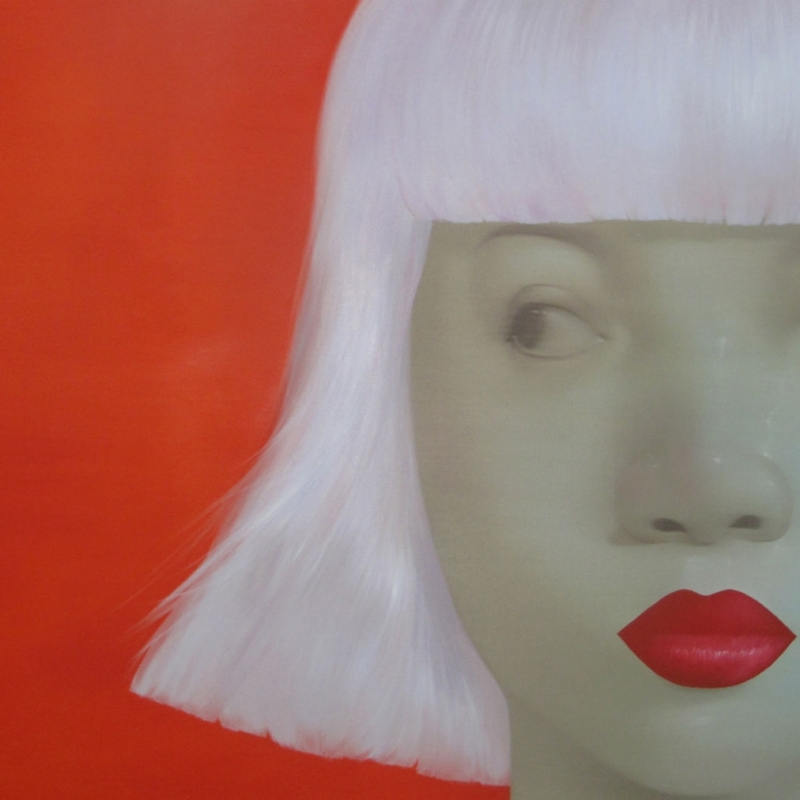 Attasit Pokpong is a rising star in Thailand’s contemporary art scene. Pokpong studied art at the Rajchamongkol Institute in Bangkok. 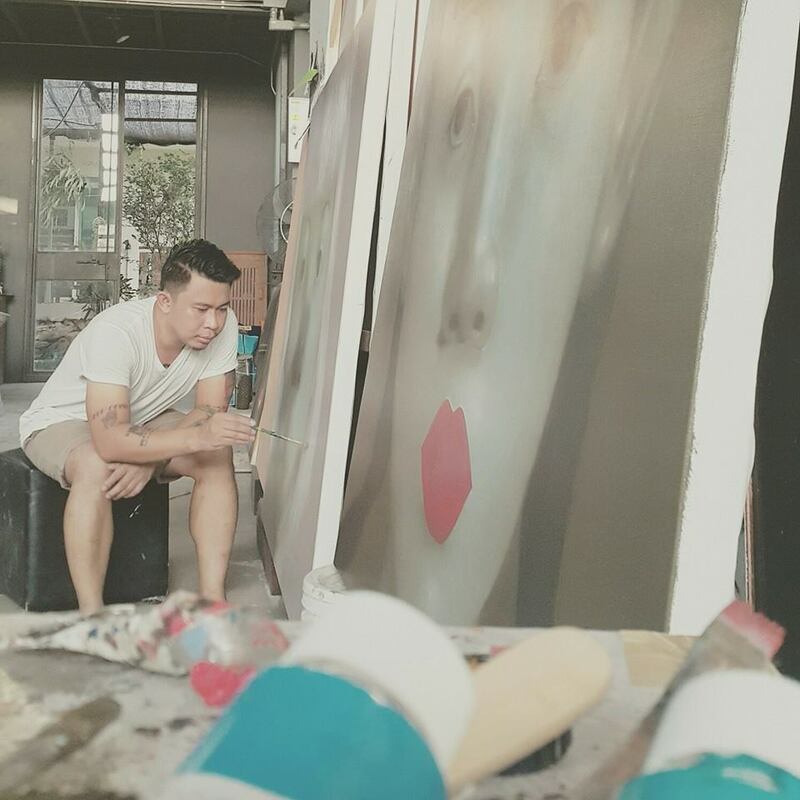 The artist continues to live and work in Bangkok, Thailand. His distinctive style has attracted a significant interest across the globe since. 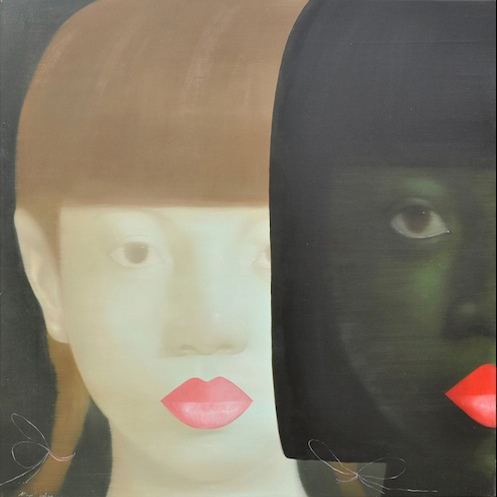 His work has been shown in many collective and solo exhibitions in prestigious art spaces and fairs in Bangkok, Shanghai, Paris, London, Hong Kong, Basel, Melbourne or Miami. Attasit Pokpong has also committed to the development of the Thai art scene. To allow the possibility of an art created for the love of art rather than by financial necessity, he launched the V64 Art Studio project (2011-2015). This arts community aimed at offering a place of creative expression, visibility, and growth opportunities to many talented young or established artists suffering from the lack of government’s support in Thailand and at helping them stand out on the fast-growing Asian art market. Often plagiarised and increasingly pricey, his portrait series are of scarce availability at international art merchants. 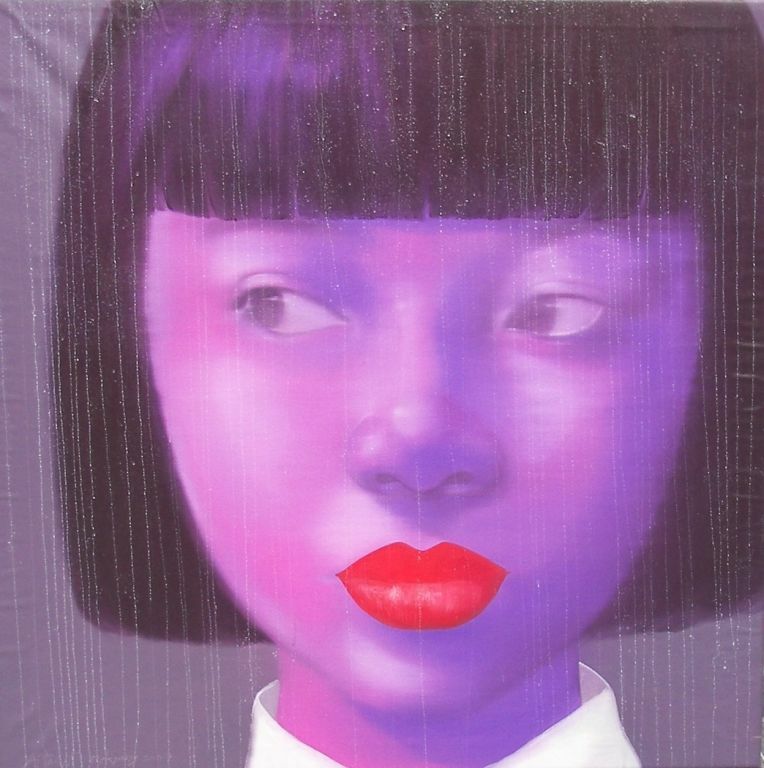 After his early street scenes portraying Thai locals populating the Bangkok urban landscape, this watercolour, acrylic and oil painting master is now renowned for his more recent and very popular work focusing on a specific subject: a human face holding a high expressive potential and containing one’s lifestyles and emotions. 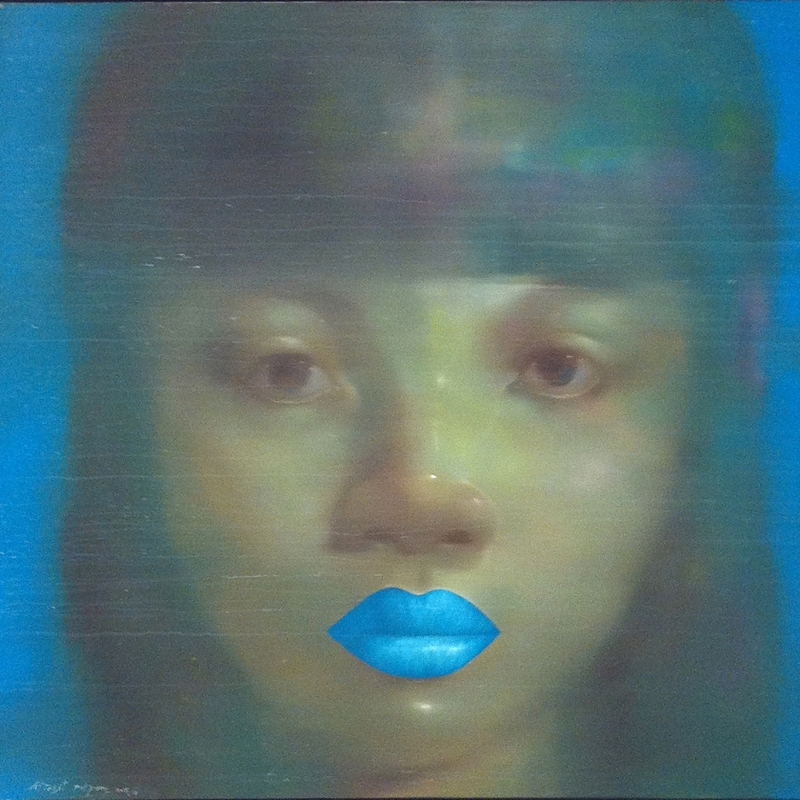 Through large-scale bright and colourful pop-influenced, close-up portraits of Asian females, Attasit Pokpong transcribes his models’ personal emotions that also reveal collective social features. 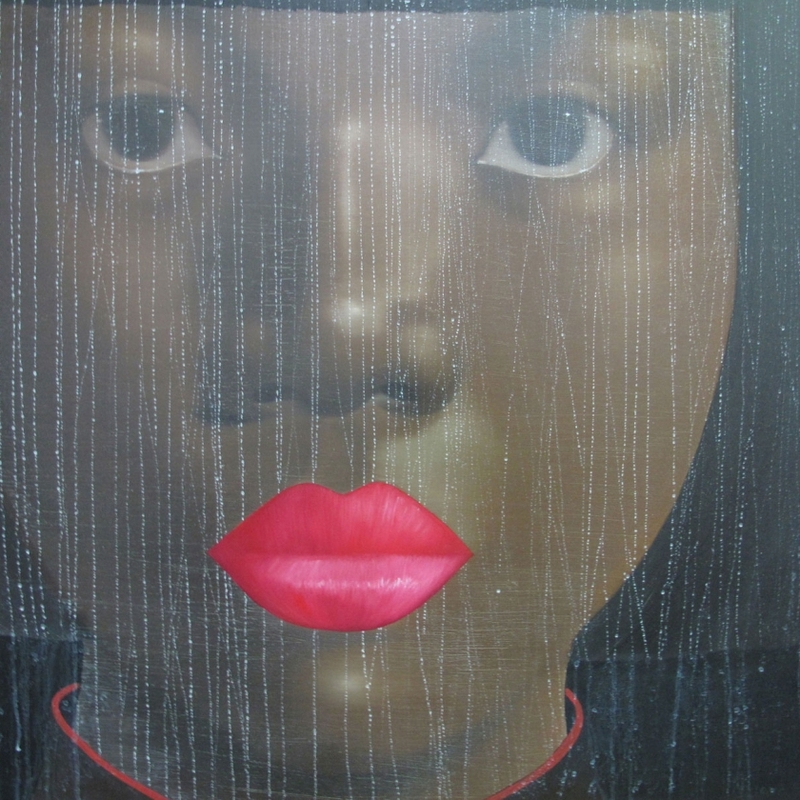 His wife, Wallaya Rattanapirom, is the main muse behind these iconic mysterious faces with large eyes and luscious lips, executed in a delicate dry brush signature technic. 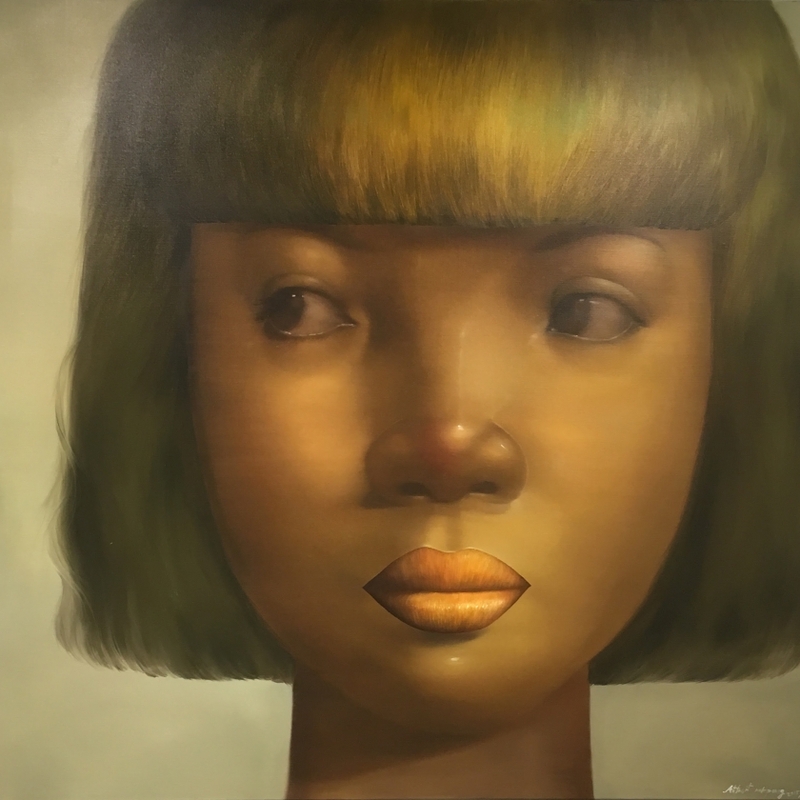 As a member of the new generation of South East Asian artists rapidly evolving on the international art market, Attasit Pokpong is generating an immense interest among collectors of all continents. Often plagiarised and increasingly pricey, his portrait series are of scarce availability at international art merchants. 2005 – Watercolour exhibition, Thailand Cultural Show and Paintings Exhibition, Nakemequrs GT Plaza Hall, Bangkok, Thailand. 2005 – Thailand Paintings Exhibition, Thai Ambassadors Residence, Bangkok, Thailand. 2004 – Collective Art Show of artists from the Northern Thailand, “Free-Land” Department Store, Bangkok, Thailand.